Valentines is upon us. Don't you need a nice gift for someone special in your life? 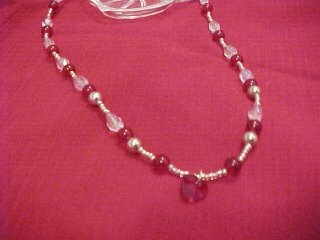 Red Crystal heart, red and white crystals and silver seed beads. There is a Sterling Silver clasp and a two inch ss extension chain.